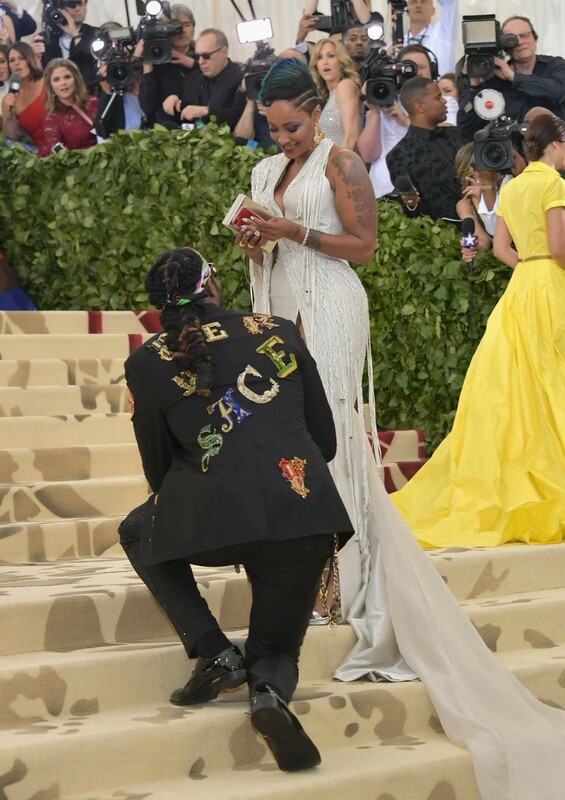 Rapper Tauheed Epps aka 2 Chainz got down on one knee and proposed to his longtime girlfriend, Kesha Ward at the 2018 Met Gala in New York City. The 40-year-old rapper completely surprised her upon their arrival when he dropped to one knee on Monday at the famous Metropolitan Museum of Modern Art stairs . The Georgia rapper wore a black suit with more than two gold chains, colorful headband and sunglasses, while Kesha donned a white gown with a plunging neckline and high slit. They have three kids together, 2 daughters and 1 son. Some reports however claim that they’ve been married since 2013.